There are many reasons why people take part in short-term mission trips and I like to believe that first and foremost among those reasons is that they want to impact another part of the God’s Kingdom. There are naysayers however who openly imply that such trips amount to little more than Christian tourism. My first reaction is to suspect that a broader negative outlook or skepticism animates such people (although I admit, that’s painting with a pretty broad brush and likely not so in every case). Over and above that though… if you’re on the outside looking in, I can see where they may be coming from. Today’s photo was taken, as the sun was preparing to dip below the horizon, in our little town in western France. I was standing in the parking lot of a small, old chateau that has been turned into a public library – hence the ornate lamp-posts. The horizon in this photo is made up of trees to the far left and right and, in the middle, two peaked roofs and a chimney. You’re seeing, in profile, the two towers that stand watch over the far end of the Henry IV bridge, built in the latter part of the 16th century. This bridge is part of the backdrop for our daily trips into town, and I must admit, it’s pretty cool. Within a one-hour drive from here there are probably several dozen castles, many of which are privately owned and not open to the public, but nonetheless… it’s part of the backdrop. The fact that we live and interact daily, in this part of the world, still kind of blows my mind when I stop to think about it. I’ve been blessed to travel to numerous places in the world and if I were to make a rough guess-timate, I’d have to say I’d likely visited a couple dozen countries. Specifically, I’ve seen a great deal of western Europe and be as far as Romania, Argentina and the Philippines… all because of my involvement in short term missions or friendships made as a result. Friends at work used to make jokes, asking me where I hadn’t been. They’d marvel at the number of places I’d seen for a 20-something who was not from an affluent family. That’s when it began to dawn on me that I really had seen a lot of places and made friends in those places. 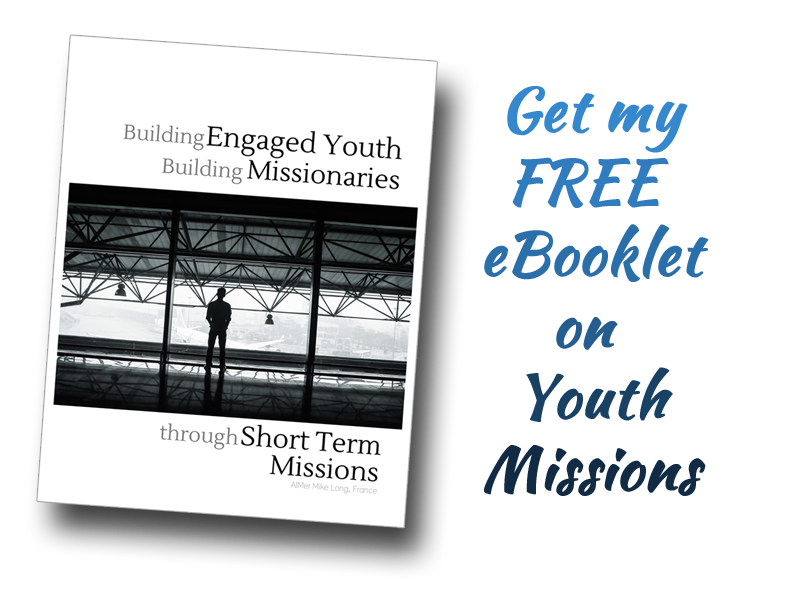 My life was richer because of those people and places… and it was all because of short-term missions. I suppose people, from the outside looking in, could level the charge that I was looking to travel and missions was a means to an end. But that couldn’t be further from the truth. I was looking to be involved in the work of God… to serve people in other parts of the world. That was the end… travel was the means! Is it possible for some STM participants to go with less perfect motives? I suppose it is possible, but again let’s not look through the lens of skepticism. Rather let’s look at it this way. Individuals are leaving their comfort zone to be part of a team whose goal is to edify and expand the worldwide church. I daresay that even if they do go with less than perfect intentions… God is able to perfect them in the process. Even they might be surprised at what God can do both in and through them. God bless you as you experience the fringe benefit of travel, while serving in Short-Term Missions.